If you follow me on SnapChat, you likely already know how much I love to cook! In addition to making it easier to stay healthy on the reg, cooking provides me with a sense of accomplishment. It may sound silly, but as someone who works at the computer all day long it’s nice to have an actual activity every day to complete and enjoy. Since I don’t eat a crazy big or exciting breakfast every day, I thoroughly enjoy whipping up brunch on the weekends. 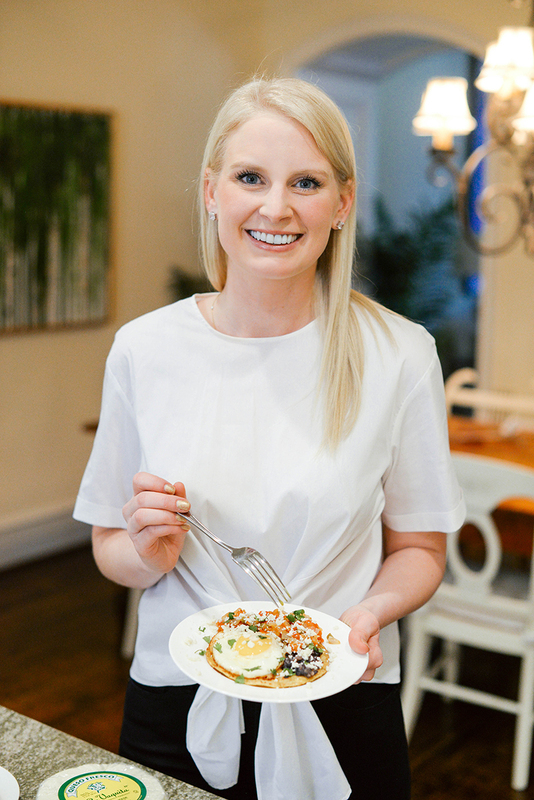 Really anything from omelettes, to fried eggs and bacon, to sweet potato home fries – I love it all! I’m still trying to avoid added sugars, so while I can’t make pancakes or other sweet brunch items, I can satisfy my savory tooth with some Tex-Mex favorites like Huevos Rancheros. 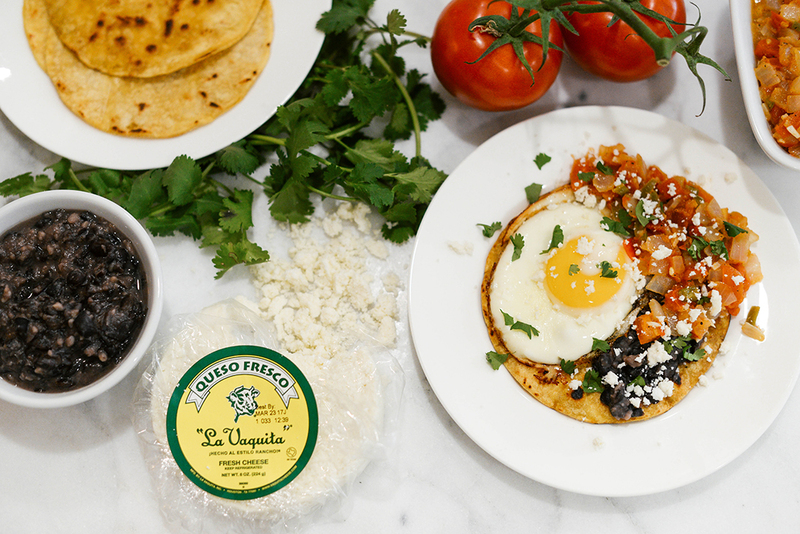 What makes Huevos Rancheros such a favorite is how easy it is to throw together! Even on days when it’s struggle city after a night out, I can make this pretty quickly and painlessly. If you really want to make this a quick recipe, use store-bought salsa instead of making your own! The rest is easy as pie. 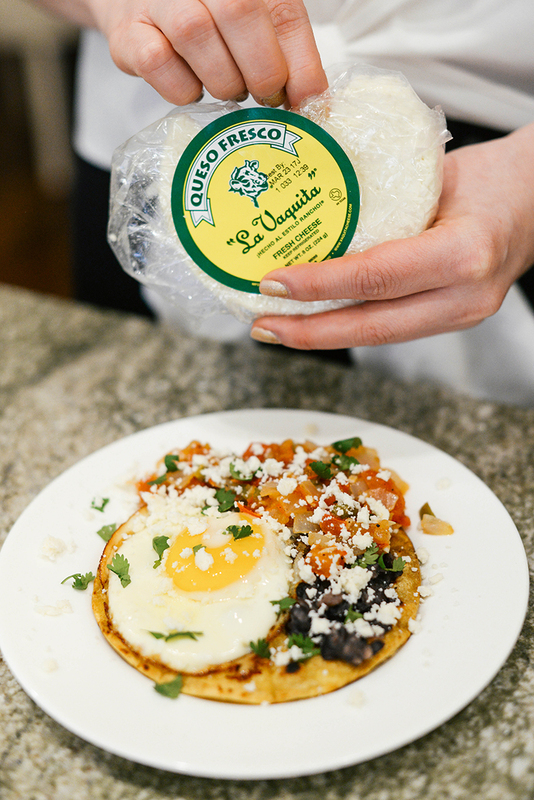 The balance of flavors is incredible: spicy salsa, creamy beans, tangy cheese, and salty eggs for the win! It’s also a super easy recipe to modify based on your diet – add or remove sliced avocado, black beans, tortillas, etc. Mix and match and make it your own! 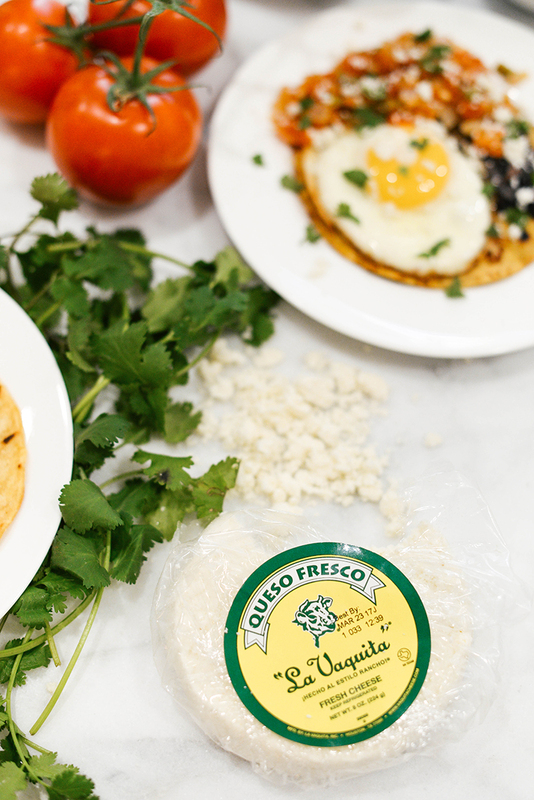 The one thing that you absolutely can’t forget to sprinkle on top is a generous dose of La Vaquita Queso Fresco… So many recipes for Huevos Rancheros online call for feta, but why would you want to use a Greek cheese in a Mexican dish?! Blasphemy. 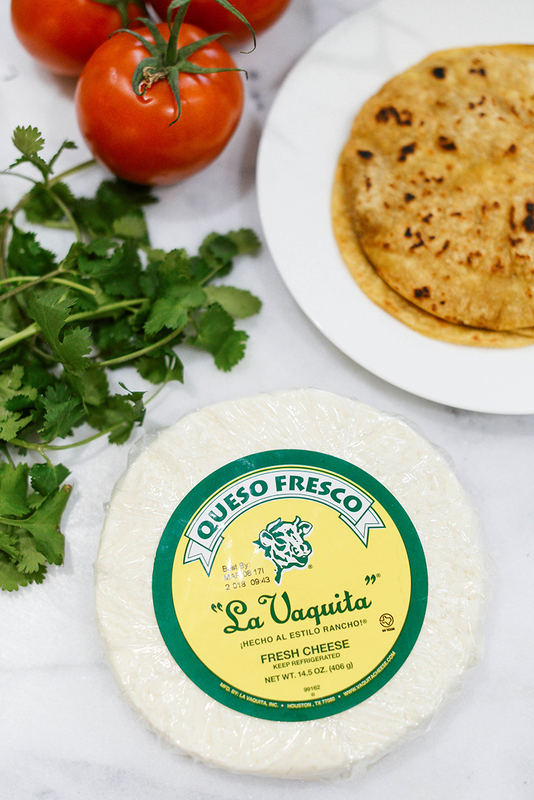 La Vaquita Queso Fresco transforms dishes into a fresh, authentic Mexican culinary experience. Plus, the Queso Fresco crumbles add so. much. flavor. to every dish and make it look pretty and presentable too! It helps balance out the spiciness of the salsa and adds a fresh flavor the eggs and beans. La Vaquita offers a wide range of quesos and cremas available at H-E-B, Kroger, Fiesta and other local grocers around Texas! Stop by the dairy aisle and pick up a wheel today. Dice the tomatoes and onion and place into a large bowl. Add the jalapeno, chopped garlic, hot sauce, cumin and salt and pepper to taste. Heat a medium skillet over medium heat and add 2 teaspoons olive oil. Fry the salsa in the oil until it thickens slightly, 5-7 minutes. Remove to a bowl and set aside. Add the beans to the same pan along with the smashed garlic, 1/2 cup warm water and a pinch of salt; cook over low-medium heat until warmed through, smashing slightly with a fork. Meanwhile, heat the remaining 2 tablespoons oil in another skillet. Fry the eggs sunny-side up; season with pepper. Place 1 warm tortilla on each plate. Divide the beans among them, then top with a fried egg, some salsa and cheese. Sprinkle with cilantro and serve! Yum yum yum! This looks delish and I’m def going to be trying your salsa! Omg this looks so yummy!